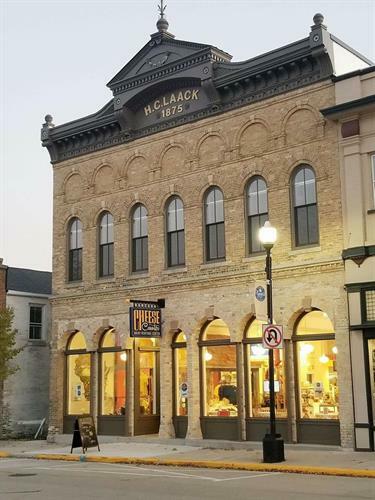 The Cheese Counter & Dairy Heritage Center is a destination where visitors of all ages will learn “why” Plymouth, Wisconsin is the Cheese Capital of the World! Our cheese heritage started in 1861 and remains stronger than ever with family supporting jobs. Learn about our history, community, and our world renowned businesses that call Plymouth home including Sargento, Sartori, Masters Gallery Foods, and Great Lakes Cheese. Thematically designed as a diverse retail store with food counter, fun interactives, and everything cheese.